It’s Housing Day, and hordes of boisterous upperclassmen decked out in colorful t-shirts and mascot costumes yell chants and wave signs from the steps of University Hall. Within Harvard Yard’s dorms, groups of bleary-eyed freshmen listen nervously to the din as they wait for the mass of spirited students to disperse across the Yard. One of these screaming upperclassmen holds an envelope detailing their residential fate for the next three years, a housing assignment they have no way of knowing or controlling. Upperclassmen scatter into the dorms by 8:30 a.m., tearing up staircases and down hallways with much more energy than is typical for an early Thursday morning. They chant house names in earnest before nearly banging down the door of up to eight nervous freshmen. This group, called a blocking group, is then presented with an official letter announcing their housing assignment, and is then engulfed by a strong showing of House spirit. The upperclassmen move to their next group of freshman targets. Housing Day was not always marked by uncertainty. The Houses only began randomizing their populations in the fall of 1996, before then students had some say in their Housing assignment. In the 1960s, this meant an interview process, and in the 1970s, a ranked preference system was introduced. As a result, the Houses of the mid- to late-twentieth century were tightly-knit communities centered around common interests. A contentious move at the time, randomization thrust Harvard into a new era. But randomization also means that the House spirit demonstrated on Housing Day is the exception, not the rule. The move to make each house a purposeful microcosm of the College’s student body came at the expense of the Houses that were pockets of community centered around shared identities, academic interests, and extracurriculars. The outsized importance of extracurricular activities and social clubs seems to reveal the difficulties of such a vision. “The House is definitely not the center of social life,” Jake A. Morrissey ’18 says. Harvard wants to change that. Ongoing renovations look to do more than just bring the historic House buildings into the 21st century. Amid campus-wide debate on Harvard’s social landscape, some hope that the time is ripe to breathe life into a tired social scene stifled by a socially fractured student body. Thirty years ago, the Harvard Houses were “sort of like a grown-up high school, with different cliques,” according to Quincy House resident faculty member Timothy P. McCarthy ’93. Students preferred certain Houses for more than their location or look: Houses also had distinct personalities in the late eighties and early nineties. A 1993 Crimson article called Adams “liberal, artsy, and daring.” The House was more than just left-leaning; Adams was a haven for many gay and lesbian students in a time when their sexuality was not widely accepted. Kirkland was the athlete’s House. 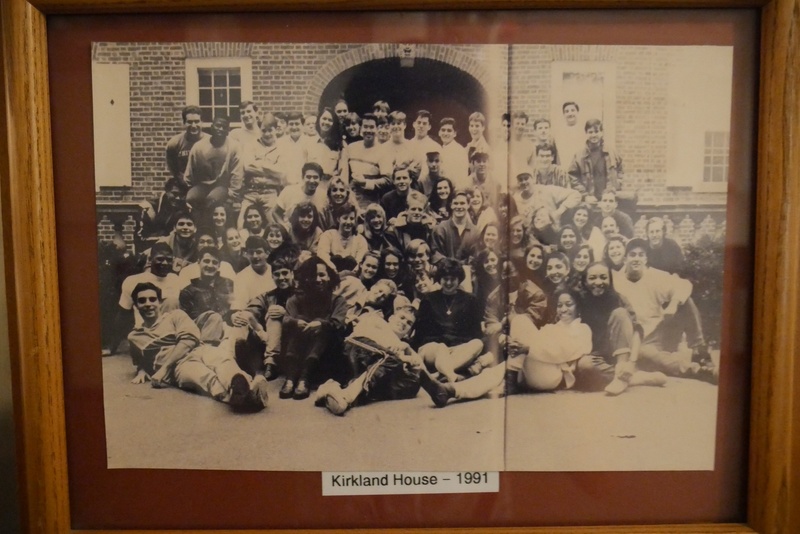 A 1991 Kirkland House sweatshirt was modeled after that of the Harvard Department of Athletics, with “Let’s Just Stop Pretending” emblazoned across the back. In the mid 1980s, Kirkland housed 90 percent of varsity athletes in three sports, according to a Crimson article from 1995. Eliot was known as the WASP House; in 1993, the House t-shirt featured the slogan “Are you on the guest list?” Quincy was known to be a more studious House with a high concentration of pre-med students. Dunster was a “mini Adams...with more of a social justice, public service kind of bent,” according to McCarthy. These distinctive communities within the Houses were an “opportunity for students who were in search of that kind of support network and system on campus at that time,” says Clarke. 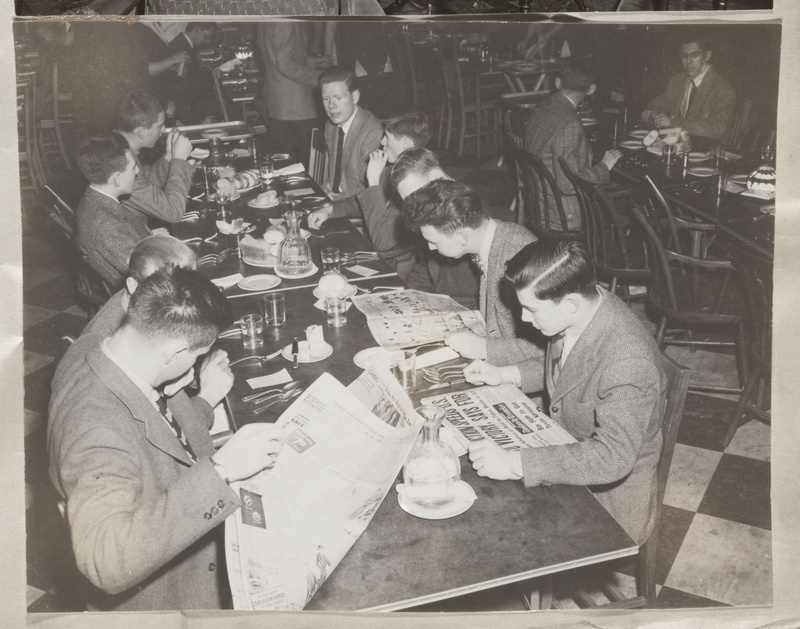 Students in Lowell House dining room, 1943. In 1990, the system reformed into a system of “non-ordered choice,” in which freshman blocking groups selected four Houses and would most likely be placed in one of those four. Though the system introduced an element of randomness, students retained a degree of control over House selection and Houses remained relatively homogenous. “We...consider forces that encourage segregation to be of serious concern,” the report said. The lack of diversity among the Houses was troubling to college administrators, as was the notion of self-segregation. The Committee arrived at a solution: randomization. In May of 1995, Jewett announced that starting with the class of 1999, freshman rooming groups would have no choice in their housing assignment. Students did not yield quietly to Jewett’s decision; the announcement prompted a 200-student protest on the steps of University Hall. But the administration stood its ground. In 1996, sophomore blocking groups were randomly assigned Houses. By 1998, each House reflected the College’s increasingly diverse student body. The era immediately following randomization saw the campus open up. Before randomization, most houses restricted swipe access for non-residents. In 1999, Universal Keycard Access began, granting all students the ability to swipe into any House. Despite being unevenly implemented due to years of contention, and holdout by certain Houses, the policy opened up the free flow of students between Houses that were once insular enclaves. But as students left their own Houses to swipe into others, so did the parties, McCarthy says. Coupled with a crackdown on drinking, he describes seeing fewer and fewer House-specific parties as the 2000s came and went. Once marked by DJ’s and kegs, a Friday night in Quincy Dining Hall today just sees a few scattered students studying up into the late hours of the night. The Houses’ populations have become undeniably more diverse, but Houses often struggle to bridge students’ many disparate interests and form supportive communities. Much of the responsibility of balancing this newfound diversity with historical House character falls upon Faculty Deans and the residential staff of each house. Some Faculty Deans try to preserve identity through tradition. Adams House Faculty Dean John G. “Sean” Palfrey ’67, who took over the House just after randomization, said he made a concerted effort to preserve the institutions—including drag night, the Pool Theater and the Bow and Arrow Press—that reflected the House’s old identity. “That doesn’t mean that the Adams House of today is the same artistic, diverse place that it used to be, but it is still an artistic, diverse place,” Palfrey says. Other initiatives are more prescriptive: Harvard brings back pre-2000s swipe restriction one day a week, in the name of community. On Community Dinner night, students are required to eat in their own Houses, which oftentimes proves to foster more irritation than camaraderie. “Most of the time, community dinner to students just seems like another dinner. And, I’ll be quite frank, it’s not that hard to sneak into other dining halls if you want to meet up with other friends,” Ramirez says. House Committees work in partnership with Faculty Deans and House administrators in creating a sense of House community. “We think that if social life is going to be recentered on the Houses, we’re going to be the ones that are going to lead that charge,” Cabot HoCo Chair Jack W. Deschler ’19 says. HoCo’s ability to enliven House life is incumbent on the space available. Not every House has a large, rentable space like Cabot’s Aquarium, Mather’s concrete JCR, or Pforzheimer’s Igloo. As a result, residents of “party suites”—a suite large enough to host dozens of people—take on outsize roles in House life. Some party suites are required, by HoCo or house administration, to throw a certain amount of open parties for their House. Even if there is no formal party mandate, at the very least there is an “unwritten rule,” Aren G. Rendell ’19, resident of a large suite in Kirkland known as the 10-Man, says. “It becomes a little exclusive of people who don’t have the means necessarily to go to New Hampshire and buy $700 worth of alcohol for the semester,” Matthew T. “Teddy” Brokaw ’18, a Currier 10-Man resident, adds. The Adams courtyard is lively on a balmy Thursday night; a student band churns out mid-2000s rock hits and dozens mill about, eating, drinking and socializing in anticipation of the weekend. For many House residents, Stein Clubs (or “Carpes,” as Adams calls them) are a strong source of House involvement. Other House events such as formals are often well-attended, but ultimately, the vast majority of Harvard undergrads find their social communities elsewhere. “There are definitely some extracurriculars that have some social aspects that the House doesn’t offer,” Perry M. Arrasmith ’18 says. Such extracurricular groups are only growing in number—there are currently 442 recognized student organizations at Harvard. This growth has been so significant that the Office of Student Life announced in February 2017 that they would not accept any applications for new student groups for the remainder of the spring semester. Other students join a different kind of club. Harvard has 24 fraternities, sororities, and final clubs. Approximately 25 to 30 percent of undergraduates are a member of at least one. Many clubs own or lease buildings in the heart of Harvard Square, though none are residential. For the College administration, which has historically turned a blind eye to unrecognized social life, the exclusivity of these groups has become too much to ignore. 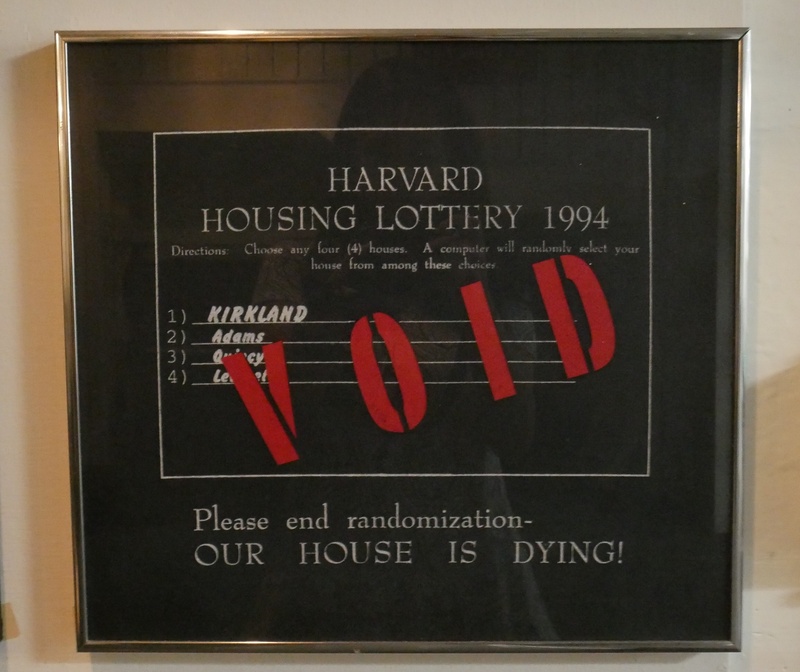 This time, however, Harvard could not press a “randomize” button: Final clubs are independently owned properties. In May 2016, Harvard began to crack down on final clubs and Greek life. A new policy was introduced to impose penalties on members of these groups, barring them from campus leadership positions, sports captaincies, and post-graduate fellowships. Re-centering social life on the Houses has emerged as a top priority of the College in recent years. In an internal document circulated two months before Harvard announced the sanctions, administrators listed “re-center social life in the House” on the top of a list of college-sponsored actions to reduce the influence of final clubs. “I think a really important part of what we’re trying to do is to make sure that House life continues to be vibrant,” Dean of the College Rakesh Khurana said last year. Just as it did with House randomization, Harvard is receiving significant opposition for its actions. Ironically, Lewis has emerged as the lead opponent to the College’s most recent effort to target enclaves of homogeneity. He opposes the policy on principle, but also doubts that it will positively impact House life. “I think there’s a view that student’s social life is some kind of fluid, and if you dam it up and prevent people from having their social life off campus, then it will all enliven what happens in the Houses. I’m somewhat skeptical of that,” Lewis says. Others worry that moving large parties back into the Houses will be a nuisance. 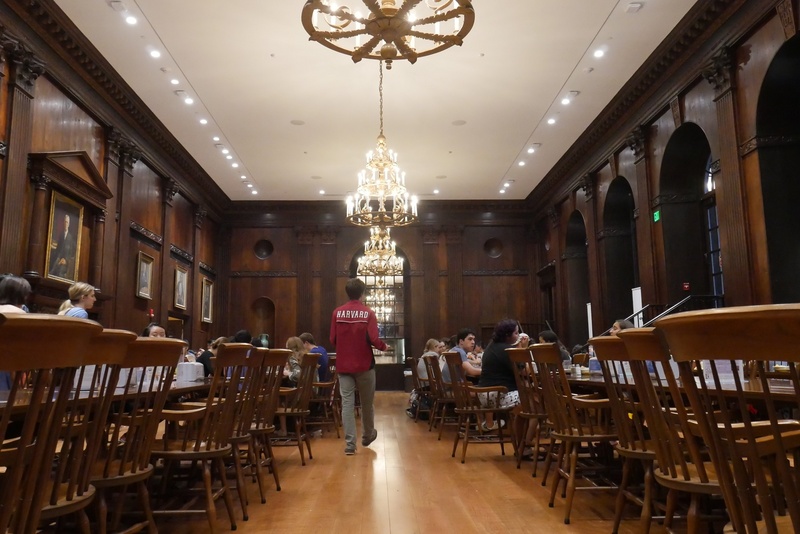 Last semester, some social clubs brought their events right to the heart of some Houses, and held parties in venues recently opened for party use—like the Mather JCR and the Adams K-Space—to the ire of House administrators. Aiming to provide more centralized direction to House-based social life, the College has amped up funding for undergraduate social events, which saw a 73 percent increase from 2014 to 2016, and another 15 percent in the 2016-17 academic year. A significant portion of this funding has come from University President Drew G. Faust’s discretionary fund. While the social scene will always have a component outside of the houses, the OSL and top administrators are still making a concerted effort to shift Harvard’s social life paradigm to its 12 undergraduate communities. They have continually met with HoCos to discuss how to do so. In addition to HoCo’s yearly designated budget, the College has directly funded House initiatives such as the Yardfest neighborhood block parties. Yet HoCos often find themselves competing with extracurricular organizations for additional event funding, and some think the College could do better. Ramirez argues that if the College does want to bring the best parties and activities back to the Houses, current funding for the House Committees is insufficient. “Quite frankly, we just don’t have the funding that a lot of these social groups do,” Ramirez said. Amid questions of funding and focus, Harvard hopes for the College’s modern social life to return to the Houses. When it gets there, the College wants the Houses to look modern, too. The Lowell Belltower, once a distinctive landmark of Harvard Square, is now shrouded in scaffolding. A maze of construction barriers redirects foot traffic around the center of the project, leading pedestrians to Kirkland, Eliot, and newly-renovated Winthrop. The House Renewal Program—Harvard’s ongoing renovations of House buildings—calls itself “an initiative to enhance the student experience and foster intellectual, social, and personal transformation.” Aiming to be more than a mere facelift to fix cracked floors and chipped paint, Harvard believes this project can breathe new life into old places. The program is estimated to total $1.4 billion, and the first phase focuses on the eight “Neo-Georgian” river houses. 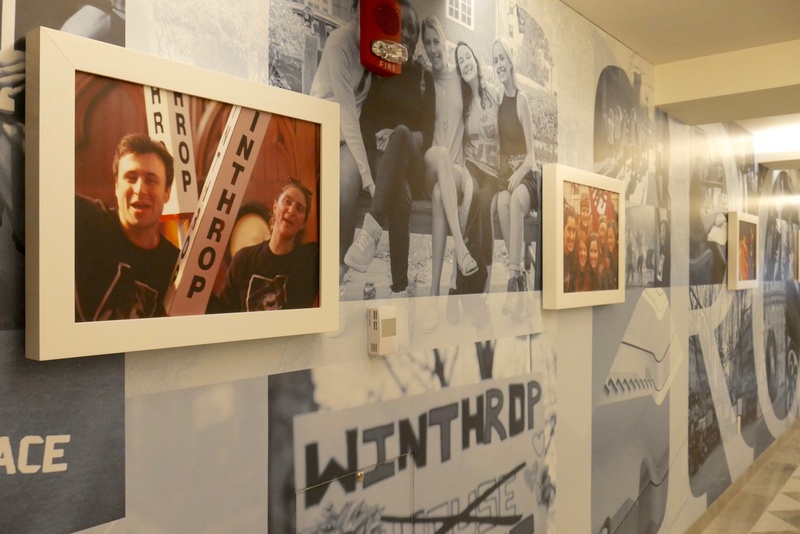 Winthrop opened its newly renovated doors this fall, following Dunster’s completed renovation in 2015. Lowell is under construction until 2019, and Adams renewal is scheduled to begin that same year. Administrators have made an effort to consider each house’s specific architectural tradition and character throughout the process. 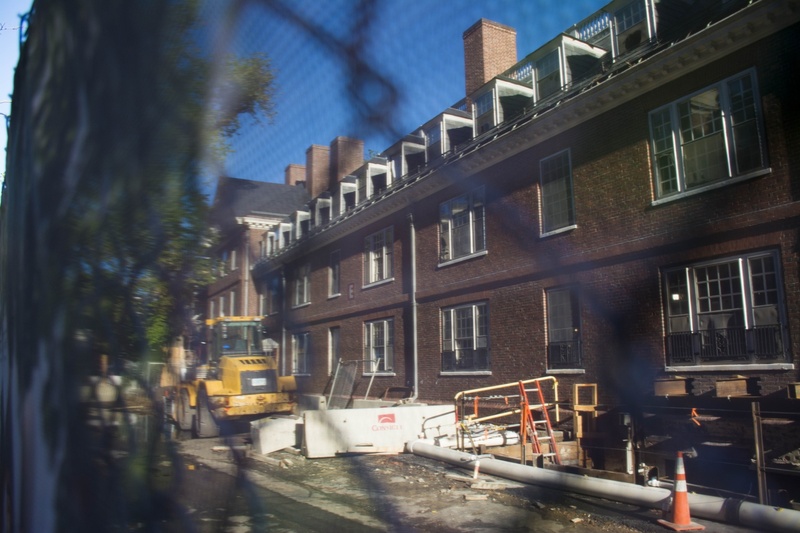 “For each of the Houses that have gone under renewal, we [have sat] with the Faculty Deans and the students to understand the culture and what matters historically,” Dean of the Faculty Michael D. Smith, who oversees the House Renewal project, said. Though renovations are House-specific, tailored to each building’s history and needs, a few trends have emerged. Dunster’s renovation mainly drew praise from residents despite a few snarky “motel” comparisons. The renovation also made the House entirely handicap accessible, a main priority of the renewal plan and requirement of the Americans with Disabilities Act. 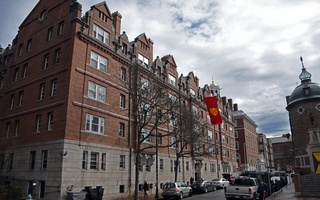 Before renovations, most of Harvard’s neo-Georgian houses consisted of narrow vertical stairways in each entryway—keeping students with disabilities from accessing these rooms. However, one change struck a chord of discontentment: Dunster students complained that not enough priority was being placed on private in-suite common rooms. The concerns about the layout of rooms in the Houses rings a familiar bell: the College’s decades-long balancing act of fostering bonding among students with common interests while simultaneously striving for inclusivity. Some feel that fewer suites means fewer parties there, too. “I think a lot of students want to party without someone always peering over their shoulder,” Ramirez says. Administrators and architects took concerns about common space into account for the second go-round of renovating an entire House: Winthrop. "Due to the feedback and use statistics, future projects should include fewer hallway common rooms and the number of suites should be increased where possible,” a 2016 assessment report on renewal said. “A broader issue regarding the lack of private party space was also raised, which should be addressed in future Renewal projects." Still, when Winthrop opened in August, despite having 72% of beds in suites, some residents had similar complaints: in-suite common space was perceived to be shrinking, and this was limiting social options for blocking groups. The conflict between private suites and common rooms, while relatively small, highlights the College’s historic struggle to balance the social needs of its student body. The House system’s ideals—diversity and community, privacy and inclusivity, bonding and bridging—have never been easily reconciled. The difficulty of striking this balance is especially evident in the era of social group sanctions and House renewal. In September, architects conducted a walk-through of Adams House—which is slated for renewal beginning in 2019—to hear from students about what they cherished about the House’s architecture. Palfrey is grateful that Adams will be the sixth renovation, as the College has learned from the past and is developing a more finely-tuned approach to preserving House character. “There will be no ‘Motel Six’ in Adams House,” he says. Stephanie Robinson, a faculty dean of Winthrop is thrilled with the House’s new common spaces. In the old Winthrop, the dining hall was the only true opportunity for congregation. While in-suite common space may be limited, today’s Winthrop is full of House-wide common spaces, allowing residents to have more choice in how they interact with their housemates. “You run into people all over the place because there are so many places that people can actually just be,” says Robinson. Experts affirm the importance of spaces that foster casual run-ins. “Some of the best conversations in an office happen near the water cooler, or in a party some of the best moment happen in a kitchen,” Graduate School of Design lecturer Sergio Lopez-Pineiro says. The Houses may never again be the enclaves of social identity that they once were—but that’s not necessarily what 21st century students want. “There are people who aren’t necessarily part of the Adams community but still feel strongly attached to the House in other ways,” Adams HoCo chair Ryan M. Ward ’18 says. Today, with extracurricular involvement, campus mobility and connectedness at peak highs, Harvard must ask itself how it will shape the next era in residential life at the College. Renewing physical space helps, but real change in culture requires a willingness to adapt. Despite investing over $1 billion dollars in it, Harvard knows that House Renewal will not be a panacea for creating vibrancy in the Houses. The College continues to consider ways to improve House life. Last year, Harvard considered a proposal to adopt Yale’s residential model, in which undergraduates are placed in a “college”—Yale’s equivalent of a House—from the time they set foot on campus as freshmen. At Harvard, undergraduates only are part of the House system from their sophomore year. In Yale’s model, while freshmen still live among other freshmen in their first year, students can only choose among people assigned to their same college to live with for subsequent years in the college. Last semester’s proposal to bring the model to Harvard was scrapped, after pushback from Faculty Deans who said supporting and creating programming for freshmen would be too much of a burden. Again, Harvard finds itself challenged when weighing how to champion both diversity and belonging. As it looks to overhaul social life, and potentially ban final clubs and Greek life, it has turned to peer institutions for guidance on how to revitalize residential life after forcing social groups out. A recent report by a committee tasked with examining Harvard’s social group sanctions looked into residential life at Bowdoin and Williams. Both institutions took swift action and banned social clubs from their campuses decades ago. The colleges bought out fraternity houses and turned them into residential houses. Bowdoin and Williams are different places than Harvard; they are small and rural. Policies are rarely one-size-fits-all. But one lesson that they can give is clear: that strong action with targeted purpose can bring massive change to what may seem institutionalized. At the dawn of the randomization era amidst change and uncertainty, the College hired a new cohort of House Masters—now Faculty Deans—to guide the Houses into the future. Judy and Sean Palfrey were one such pair. “We were in part chosen because we wanted that challenge of taking the best of the old nonrandomized houses—each of us had a house character—keep some of that, and build on it, so that it now embraces diversity and moves forward on it,” Sean Palfrey says. Eighteen years later, he has stayed on to face a similar challenge: seeing Adams through renewal. Doing so requires what he did when he first came to the helm of the House: carefully preserving character elements of the past to keep, while realizing a new, modern era lies ahead.